Around the world, International Women’s Day is marked every year on March 8 to celebrate the participation, contribution, and achievements of women in society. In Fakir Bagan, women live day-to-day taking care of their children and husbands, and have little time to think about themselves. They live in a male dominated environment where alcohol abuse, verbal abuse, and domestic violence is considered a norm that they must accept. Women who earn an income to support the family not only face the same issues, but also face the problem of having their hard earned money taken away by their husbands to spend on alcohol or cigarettes. It is still a struggle for women in this community to make their own voices heard and to be aware of their rights and needs as women. 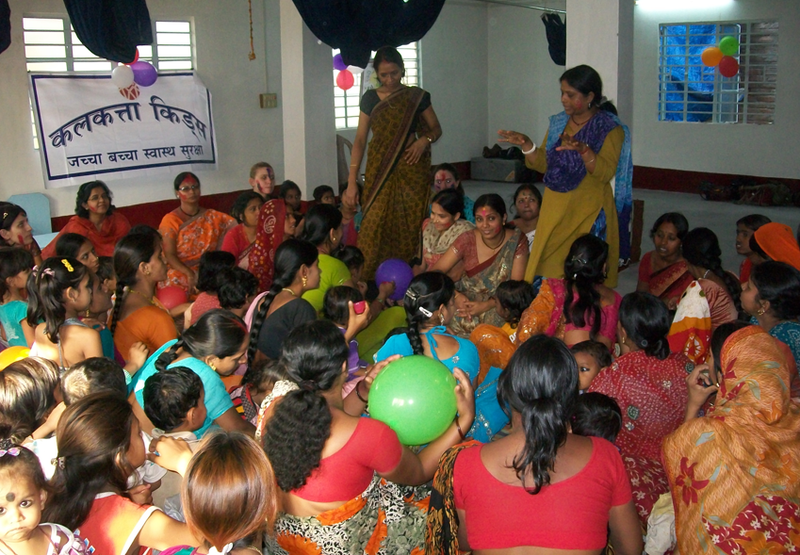 On the afternoon of March 7, Calcutta Kids held an early celebration of International Women’s Day in our Maa o Shishu Shiksha Kendra (Mother and Child Learning Center) in Fakir Bagan. Members of our women’s support group and their friends from the community joined in the celebration. We celebrated the immense strength women exhibit in their day to day lives throughout the year, recognizing the unlimited sacrifices made by women in this community. Ajay was born on August 20, 2011 in a village outside of Kolkata. Sadly, his mother died shortly after childbirth, and he was sent to be raised by an aunt, also in the village, who had two other children. 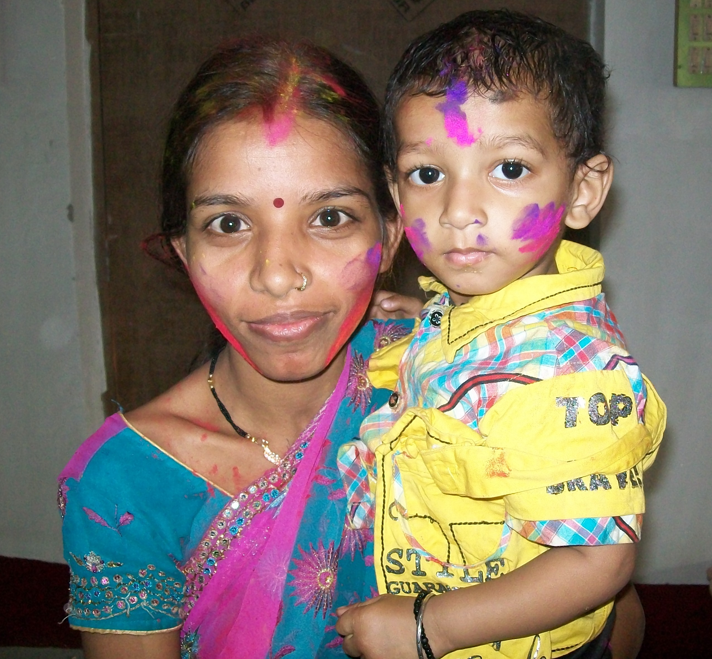 Over time, Ajay grew malnourished and his aunt was unable to provide proper care for him. In late 2011, he was sent to live with another aunt named Pramila in Fakir Bagan, where we work. Pramila has been married for many years, but has never had any children of her own. Pramila learned about Calcutta Kids and on Friday, January 20, she brought Ajay in for his first immunizations at five months old. Our triage nurse was quickly alarmed; his distended stomach, loosely hanging skin, bulging eyes, skinny limbs, and lethargy made her nervous about the inoculation. Weighing in at 3.79kg (~8.4lbs), he had a weight-for-age Z-score (WAZ) of -5.392, which was off the growth charts in the severely malnourished category. Bringing him to the attention of our health workers and doctor, Ajay received a thorough examination and a counseling and nutrition plan began. Ajay’s dirty bottle and diluted cow’s milk were replaced with clean bottles and newborn formula. Thankfully, he was hungry and eager to recover. Starting the following Monday, Pramila brought Ajay to the Swastha Kendra (health center) daily for supervised feeding of Ajay. CK mothers are always encouraged to exclusively breastfeed, but in this case, without a lactating mother and with the severity of Ajay’s malnutrition, formula became the only viable option. Thanks to generous donors, CK supplies Ajay with all of his formula, which is expensive but critical to his growth. Almost immediately, we also started complementing his formula feeding with kicheri (lentils, rice and vegetables), which he ate well. Our community health workers conducted regular home visits to make sure that feedings were successful in the home. By February 1, Ajay weighed 4.5kg (~9.9lbs), and had a WAZ of -4.49. Making great progress, he was looking healthier and had more energy. Pramila was also taken in by our mother’s support group. They were eager to help her, and invited her to attend their meetings. 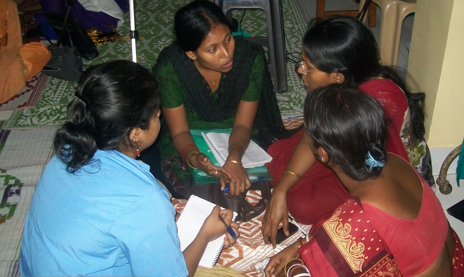 At one meeting, they taught Pramila various ways to make household ingredients into baby food. As a first-time mother of a very fragile child, the women in the support group also took the initiative to visit her and make sure she had what she needed. On March 1 he weighed 5.7kg (~12.6lbs) and had a WAZ of -3.633. His cheeks and limbs were starting to fill out, he was able to roll over on his own, and his smile could light up a room. Ajay and Pramila have continued coming to Swastha Kendra 2-3 days per week for counseling and food. On March 20, two months after Ajay’s first visit to Calcutta Kids, he weighed 5.97kg (~13.2 lbs) with a WAZ of -2.95, and was officially out of the “severely malnourished” category. 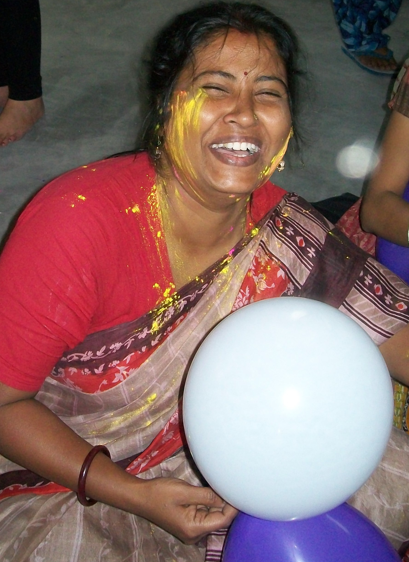 Throughout the whole process, Pramila has worked very hard, heeding the counsel of Calcutta Kids, and has expressed her gratitude for our programs. At Calcutta Kids we are currently revising our Child Health Initiative to strengthen and make improvements to our program activities. The revisions will be based on changes in international guidelines and lessons learned over the past six years. We recently carried out a similar process with the Maternal Health Initiative which included improved monitoring and evaluation, curriculum and protocol development, and in-depth trainings with our community health workers and other MYCHI (Maternal and Young Child Health Initiative) staff. Training and counseling will also be a major component of the child health redesign, particularly as we do not have a standardized training curriculum or comprehensive materials for child health counseling. Previous trainings have been informal and primarily verbal, using limited resources. 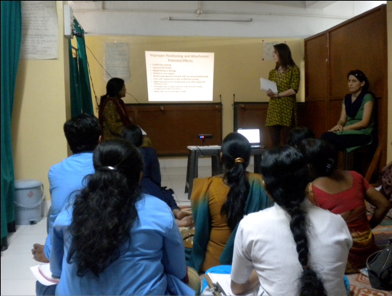 At present we have two interns from George Washington University (Lisa and Lindsay) who are working on behavior change communication (BCC) at Calcutta Kids. Under the guidance of the MYCHI program coordinator and manager (Sumana and Danya), they are developing a curriculum for child health education sessions, and creating flipcharts with child health messages to be used by our community health workers and health clinic staff. The education sessions were launched this month comprising of all the relevant child health-related topics that we address at Calcutta Kids. So far we have held education sessions for our health workers and health center staff on Initiation of Breastfeeding, Postnatal Care, Care of a Low Birth Weight Baby, and Complimentary Feeding. Next month, we will be holding sessions on Immunizations, Care of a Sick Child, and Development Milestones.